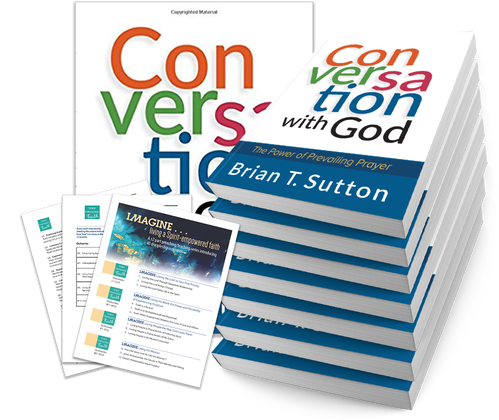 8 copies of the book, Conversation With God (2-book kit version is also available at relationshippress.com). A self-assessment tool to measure the 40 outcomes in your own life and discipleship efforts. Teaching notes built around the 4 themes of Spirit-Empowered Faith. These notes could be used as leader guide notes; teaching notes; or used as a 12-week sermon series. Please use code RP-CWGB when you order through RelationshipPress.com below. *Special bulk pricing for the book is available which enables each person to purchase their own copy of the book from the church, group, or organizer to help off-set the cost. A vibrant prayer life is possible for everyone. 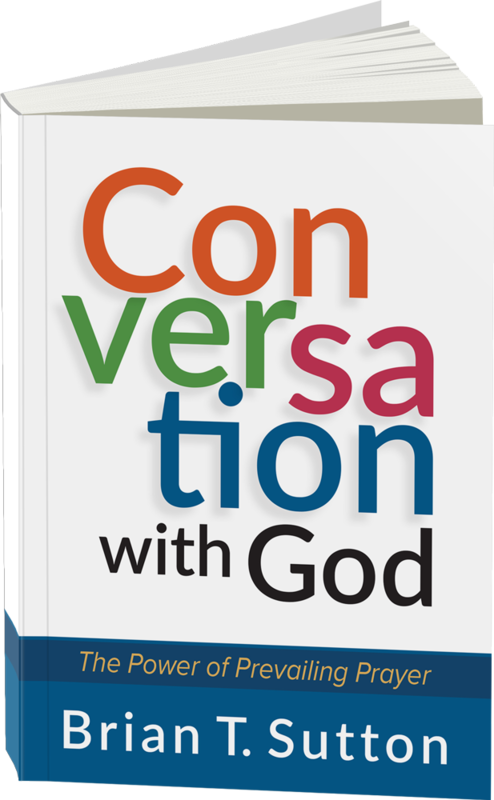 Conversation is a natural part of our daily lives but most people think that kind of natural communion with God, through a vibrant life of prayer, is only for “Super Christians.” Conversation with God shares deep spiritual insights and provides a clear path for all believers to experience a deeper relationship with God through prayer. There is no magic formula to the power of prayer. We come to know the voice of God through constant conversation. Prayer with God is a powerful ministry that everyone can participate in. Prayer allows us to participate with God in his love and work for humanity. Whatever has gone on in the past, you can decide today that you’re going to be a person who prays — a person who maintains a lifestyle of prayer. Experience the power of prayer through Conversation with God. 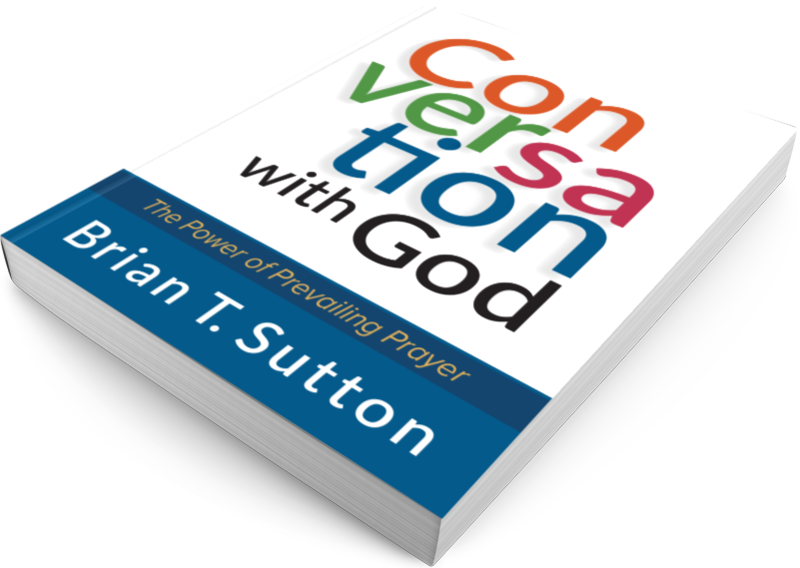 "The personal experiences of Pastor Sutton relating to the power of prayer and its impact on his life add an indisputable value to this book. 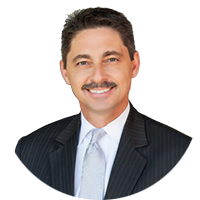 He shares examples of family and others who have influenced his prayer life, which provides us with great insight as to why Pastor Sutton is so committed to this vital subject. It is my sincere hope and prayer that this book will bring each of us into a dramatic awakening of the spiritual life through fervent, effectual, and persistent prayer." To download a sample of Conversation With God, insert your email below.